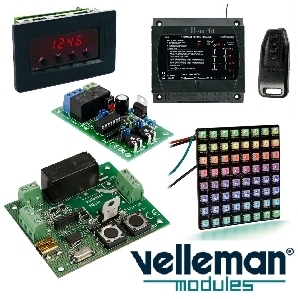 Pre-assembled & Tested, Electronic Modules for Home and Industry. Suitable for a wide range of electronic applications, these modules are handy problems solvers or complete systems ready to go. Manufactured to a high standard, many of these modules are CE Certified. Large range of High Quality Self Assembly Electronic Kits. 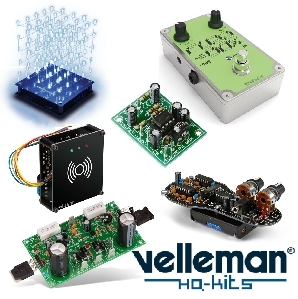 Popular range of electronic project kits by Velleman. 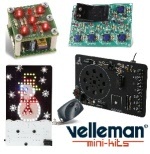 Small, Simple Electronics kits. Ideal for those simple applications & basic introduction into electronics for all ages. 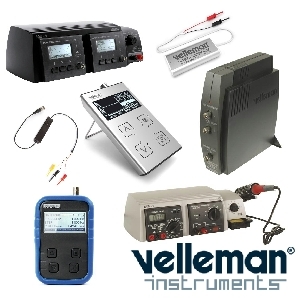 PC Based & Standalone Instruments for Electronic Measurement. 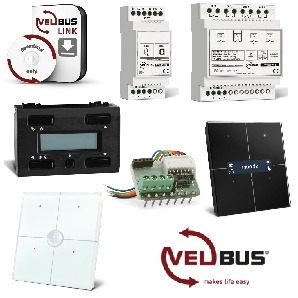 The Velleman Velbus System is a 4-wire Home Automation System. Pre-assembled modules for DIY or professional.